Warriors’ Wasps jinx continued as they returned empty-handed from their trip to the Ricoh Arena. Warriors had plenty of territory and possession in the first half but broke the Wasps only once when Sam Lewis burrowed over from a lineout drive. But it was a different story after the break as Warriors were restricted to just a long range penalty from Chris Pennell and it required some heroic defending to restrict Wasps to just one more try. Wasps scored three converted tries in the first 20 minutes and Warriors fought back bravely to reduce an 18 points deficit to five points when Pennell levered over a penalty from just inside his own half early into the second period. 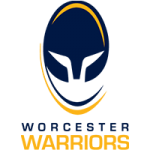 But Warriors spent most of the rest of the match camped in their own half and despite their attempt to salvage a losing bonus point when they attacked from their own 22 in stoppage time, a dropped pass meant defeat against Wasps. Warriors started well and went in front after five minutes when Duncan Weir slotted a penalty which made amends for an earlier miss but the lead lasted less than a minute. But Warriors failed to secure the restart and Wasps poured through to set up number eight Nathan Hughes for a try. 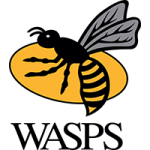 Referee Matthew Carley consulted with TMO Trevor Fisher to check a possible knock-on by Wasps from the restart but the try stood and Lima Sopoaga converted it. Wasps doubled their score six minutes later when right wing Marcus Watson went over on the overlap and Sopoaga converted from the touchline. Worse was to follow for Warriors as Wasps applied more forward pressure and loosehead prop Zurabi Zhvania touched down with Sopoaga again converted to open up an 18 points gap. It could have been worse for Warriors as Brad Shields followed up a kick ahead and it required a last-ditch tackle from birthday boy Francois Hougaard to reel him in just short of the line. Warriors eventually got a foothold in the game when Lewis drove over from a five metre lineout and Weir converted from touch. Wasps went down to 14 men when Gaby Lovobalavu was sin-binned for obstruction and Weir ended the first half as he had started it, by stroking over a penalty which reduced the deficit to eight points at the break. Pennell reduced the gap to five points with one of his trademark howitzer penalties eight minutes into the second half but Warriors could not work themselves into another try scoring position. Wasps made a period of pressure count when Hughes powered over and Sopoaga converted to make up for missing a sitter of a penalty earlier. Warriors were forced to make a late change when Nick Schonert withdrew because of a back spasm which meant promotion from the bench for Gareth Milasinovich and a place among the replacements for Simon Kerrod. Warriors | 15 Chris Pennell, 14 Tom Howe, 13 Ben Te’o, 12 Ryan Mills (C), 11 Josh Adams (Venter 51), 10 Duncan Weir (Heaney 66), 9 Francois Hougaard, 1 Callum Black (Waller 51), 2 Niall Annett (Taufete’e 58), 3 Gareth Milasinovich (Kerrod 51-59 & 68), 4 Anton Bresler (Kitchener 48), 5 Darren Barry, 6 Ted Hill du Preez 52), 7 Sam Lewis, 8 Marco Mama. Replacements | 16 Joe Taufete’e, 17 Ethan Waller, 18 Simon Kerrod, 19 Andrew Kitchener, 20 Cornelll du Preez, 21 Michael Heaney, 22 Francois Venter, 23 Scott van Breda.